First Aid Dog Kits: Are You Prepared To Act Quickly? Do you have a first aid dog kit ready? And what should you keep in one? Would you know what to do when every second counts? 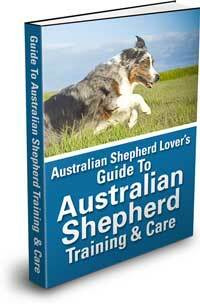 Are you considering getting an Aussie? Why not get a rescue Aussie in need of a loving home like yours? "The dog commends himself to our favor by affording play to our propensity for mastery."